Applique Embroidery Work offered is made available in different embroidery appliqué designs as per the particular tastes of clients. Providing for the exclusive decorative effect of colored fabrics on the base fabric, the offered work standards is at its colorful best and also is most prominent among the available choices in the market. Here, we can also make use of specially prepared motifs provided with support of mirror work as per the requirements of customers. Further, our expertise lies in offering highly customized end solutions as per the specific choices of customers. 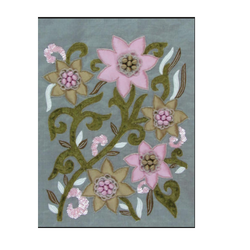 Expertise in making available different embroidery appliqué designs as per the particular tastes of clients. 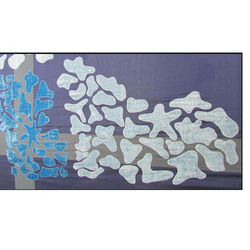 Providing for the exclusive decorative effect of colored fabrics on the base fabric. Offered work standards is at its colorful best and is most prominent among the available choices in the market. 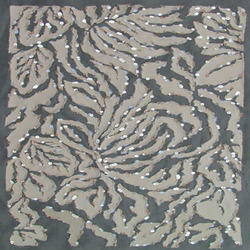 Specially prepared motifs used can also be provided with support of mirror work as per the requirements of customers. Expertise in offering highly customized end solutions as per the specific choices of customers. Hand Embroidered Applique Work offeredcomprise professional quality appliqué embroidery work with enchanting choices of surface patterns to choose from that provide an exclusive finish to the garment. With our expertise in providing embroidery with straight stitch and satin stitch support around overlapping edges, we can offer solutions in form of embroidery support on dresses, shirts, pillows, bibs, burp cloths and other fabrics/stitched pieces. Further, appliqué can be offered in different thread color support as well as in choices of different designs like flowers, kid’s characters, animals and others. Expertise in offering professional quality appliqué embroidery work. Enchanting choices of surface patterns to choose from that provide an exclusive finish to the garment. 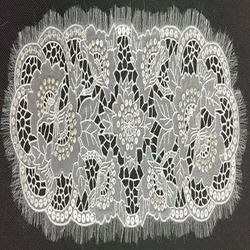 Can be provided with straight stitch and satin stitch support around overlapping edges. Expertise in providing embroidery support on dresses, shirts, pillows, bibs, burp cloths and other fabrics/stitched pieces. Appliqué can be offered in different thread color support as well as in choices of different designs like flowers, kid’s characters, animals and others. Looking for Applique Work On Fabrics ?